Rachael Ray welcomed chef Katie Lee to her show to share some of her favorite holiday-themed snacks. Her Slow-Cooker Peppermint-Mocha Latte is an indulgent, delicious drink. But sometimes you just need a bite to eat. 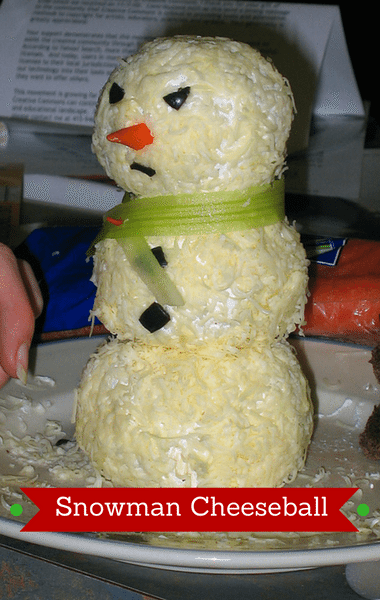 Katie’s Snowman Cheeseball is almost too adorable to eat, but you won’t regret digging in! She combined tasty ingredients to make a cheeseball in the shape of a wintery figure. Go ahead and get your kids involved with this one! They’ll love making it just as much as eating it!